Having returned from their time with the Army, Daniel and Asin must now complete the Dungeon in Karlak. To do so though, they will need to get better gear,more Skills and higher Levels. Taking a quest, the pair must leave Karlak to travel across the Kingdom of Brad and learn a few life-lessons along the way. Tao Wong is a Canadian self-published author based in the Yukon. He enjoys reading science fiction and fantasy books. 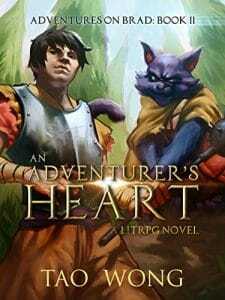 Recently, he’s delved into writing them with a LitRPG twist. Enjoy this author? Leave a review below!